Verizon launched the first part of its commercial, mobile 5G network today in parts of Chicago and Minneapolis. 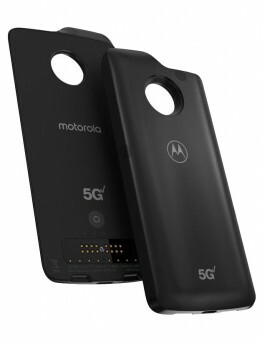 Consumers can experience 5G service with the Motorola Moto z3 when used with the 5G Moto Mod accessory, which also goes on sale to the general public today. Verizon says early customers in Chicago and Minneapolis should expect typical download speeds of 450 Mbps, with peak speeds of nearly 1 Gbps, and latency less than 30 milliseconds. Verizon had originally announced April 11 as the launch date, but moved the launch up to today in order to beat Korea's SK Telecom to claim the "first commercial 5G network in the world that works with a 5G smartphone". SK Telecom just today announced its plans to launch commercial 5G on April 5th with the Samsung Galaxy S10 5G. Verizon has announced plans to carry the Samsung Galaxy S10 5G and LG V50 ThinQ phones, both of which have 5G fully integrated, but it appears SK Telecom will be the first to offer a phone with integrated 5G. Verizon's 5G service costs an extra $10/month. The company has announced plans to expand its 5G network to over 30 US cities this year. Verizon's 5G network launching today relies on the 28 GHz frequency band, which is considered mmWave. Such high frequencies have limited range and do not penetrate well indoors. Sprint plans to launch its 5G network — using much lower frequencies — starting next month, offering the LG V50 ThinQ. AT&T claims it launched its mmWave 5G network last year, but has yet to make compatible devices available to the general public. AT&T has promised to offer a 5G phone in the first half of 2019. Verizon's first standards-compliant mobile 5G network will launch in select areas of Chicago and Minneapolis on April 11th. 5G service will cost an extra $10/month. 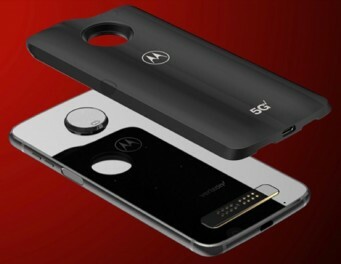 The country's first 5G smartphone solution will be the 5G Moto Mod for the Moto z3, which customers can pre-order starting tomorrow, March 14th. For a limited time, the 5G Moto Mod is available for just $50, after which it will sell for $350. The $10/month 5G data plan offers truly unlimited 5G data and requires an existing "Unlimited" service plan. The first three months of 5G service are free. 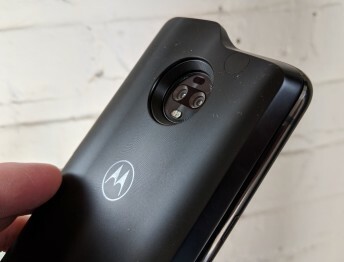 The 5G Moto Mod is only compatible with the Moto z3, and Verizon will only sell it to customers they can confirm have a Moto z3. Verizon has also announced plans to carry the Samsung Galaxy S10 5G and LG V50 ThinQ phones, both of which have 5G fully integrated. Verizon's initial 5G NR network relies on the 28 GHz frequency band, which is considered mmWave. Such high frequencies have limited range and do not penetrate well indoors. The initial Chicago coverage will include West Loop, South Loop, Gold Coast, River North, Old Town, Union Station, Willis Tower, Art Institute, Millennium Park, Chicago Theatre, and near the Verizon Store on the Magnificent Mile. The Minneapolis coverage will include Downtown West, Downtown East, areas of Elliot Park, Minneapolis Convention Center, Minneapolis Central Library, Mill City Museum, Target Center, The Commons, and U.S. Bank Stadium. 5G offers lower latency (delay) and faster data speeds overall. Verizon's 5G phones are only compatible with the new 5G NR network launching in April, and not the company's existing 5G Home network, which uses an incompatible, non-standard technology. Owners of the Motorola Moto Z series phones won't get the keyboard Mod they were promised earlier this year. 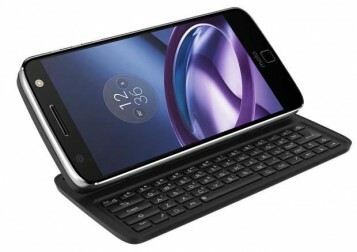 The Livermorium Slider Keyboard Moto Mod, an attachment that would have given the Moto Z family a physical QWERTY keyboard for typing, has been cancelled. The Indiegogo campaign was fully funded, but the company behind the keyboard cited several reasons for scrapping the Mod including engineering challenges, low volume of Moto Z phones in the market, and, more importantly, the inability to scale production affordably. The company says those who backed the campaign will receive a full refund via PayPal. Motorola and Verizon Wireless hope consumers will buy into the idea of upgrading their Moto Z3 phone with a modular 5G attachment some time next year. The Mod promises to bring a 10x improvement in data download speeds without sapping the battery too much. How are Motorola and Verizon making this work? We'll tell you. 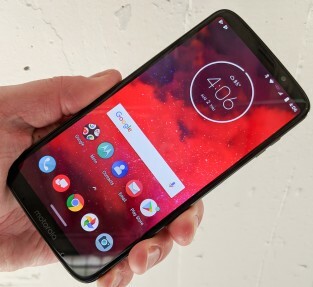 Motorola today announced the Moto Z3, what it calls the first "5G upgradable" phone. The phone itself is a warmed-over version of Motorola's modular phone. The Z3 is, for all intents and purposes, a hot-rodded version of the recently announced Z3 Play. The Z3 has a 6-inch AMOLED full HD+ display with a 2:1 aspect ration. Motorola improved the processor by adopting the Qualcomm Snapdragon 835 processor. The phone has 4 GB of RAM and 64 GB of built-in storage and supports memory cards up to 2 TB. The Z3 has two 12-megapixel cameras on the rear with portrait/bokeh tools. Where the Z3 Play has two full-color sensors, the Z3 has one color sensor and one monochrome sensor for depth sensing, contrast, and true black-and-white imaging. The user-facing camera has a 5-megapixel sensor. Motorola says the 3,000mAh battery supports TurboCharge and lasts all day. Other features include splash resistance, USB-C, Bluetooth 5 with aptX HD, face unlock, dual-band wifi. The phone runs Android 8 Oreo and will be updated to Android P later this year. It includes Moto Actions, Moto Display, and Motorola's swipe-based navigation tool at the bottom of the display. 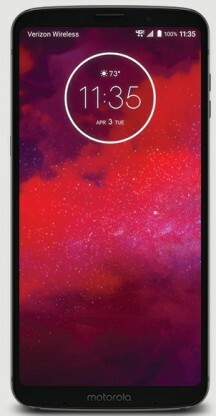 Verizon will begin selling the Moto Z3 on August 16. The phone will cost $20 per month, or $480 at full retail. Verizon will knock $300 off the price of a Moto Z3 to those who switch to Verizon and trade-in their old phone. Pricing and availability for the 5G Moto Mod will be announced later this year. Verizon expects to launch fixed-wireless 5G in a small number of markets, including Houston, Los Angeles, Sacramento, late this year. Verizon says its mobile 5G network will go live in early 2019.